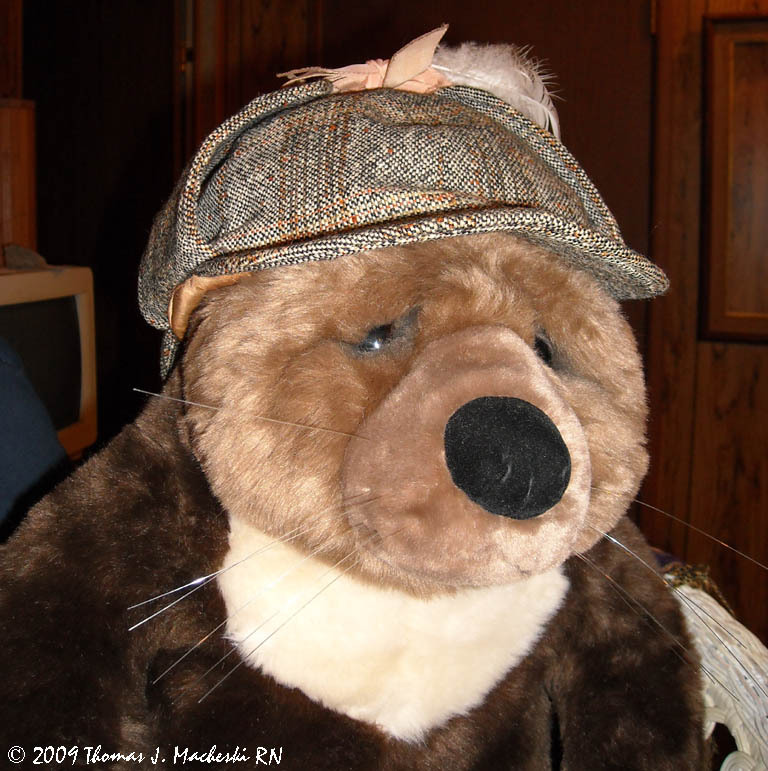 Easter Otter - Ramblings of Mad Shutterbug & the Border Collie Bros. Looking for the missing Easter Eggs, and considering that the Easter Bunny may of been abducted, the Consulting Detective is Consulting. Considering that Clan (Kawauso) and Family (Ofuroyama) are only two parts of his name, I may need to come up with a 'given' name. I'd originally thought that Ofuroyama would be his 'professional' name in his previous career, Sumo. He is a Grand Champion in Sumo, don't you know. Quite a formidable combination, eh? we found an easter egg once with the lawn mower. my dad's mouth was open and it flew into his mouth. it was green and black and had threads! it was a beautiful thing. i'm pretty certain the egg was purple and yellow. but i can't remember. i DO remember the black thready things hanging over his lip.